Though US Governments to promote energy efficiency is still in a holding pattern in the countries Senate, the efforts taken by various American cities on their own, is a real good news to the nation. As per a new ranking by the American Council for an Energy-Efficient Economy, many of the countries cities are commencing a varity of energy-saving measures such as more economically designed buildings, constructing electric vehicle charging stations, and publicize bike sharing. Boston Boston got the highest score overall, with 76.75 out of 100 points on a scorecard formulated by ACEEE, on which the selected cities got scores for their energy-saving dynamism. Portland, New York City, San Francisco, Seattle, and Austin also were scored more than 60 points.
" I always believed that mayors have a responsibility to push the envelope on reducing greenhouse gas emissions," Boston Mayor Thomas M. Menino told in a telephone conference that reveiled ACEEE's findings. 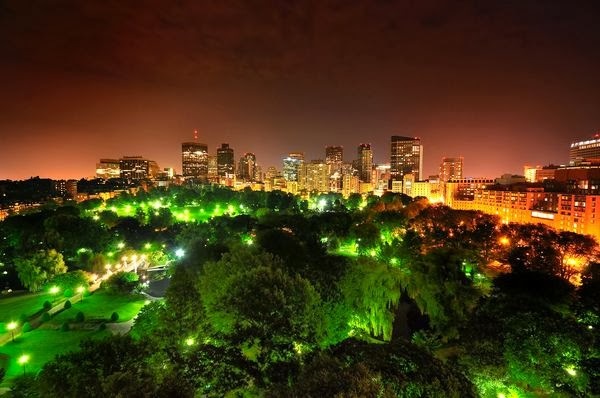 In 2009, Menino started the 'RENEW BOSTON' initiative which helped the city to cut electricity consumption by 200 megawatts and thereby helped to reduce greenhouse gas by nearly 70% by 2050. To improve on the idea and goal, in June Menino started a new program to help residents make energy-saving improvements in their homes. The city is giving upto $3,000/home as subsidies for upgrading insulation and as much as $250 to fund the cost of replacing obsolete, energy-wasting wiring. Boston also has negotiated bulk pricing for 'SOLAR PANELS' to be fixed in homes, which gives residents free evaluations to identify problem areas that are causing energy waste and raising their usage cost. "My own house has solar panels. It saves me on electric bills," says Menino. The 34 cities were valued by ACEEE with reference to five areas - buildings, transportation, energy,and water utility programs, local government operations, and community-wide initiatives.